A coating is a covering that is applied to the surface of an object. The purpose of applying the coating may be decorative, functional, or both. Coatings are ubiquitous and can be found on walls, furniture, on all sorts of wires and printed circuits, the outside of houses and cars, and much more. In addition, the decorative duties of coatings span quite a broad spectrum. Decorative coatings are mainly used for their color, texture or other visual property. Functional coatings are applied to change the surface properties of the substrate, such as adhesion, wettability, corrosion resistance, wear resistance and more. In some cases, the coating adds an entirely new property such as a magnetic response or electrical conductivity and forms an essential part of the finished product. Coatings may be used in various processes, that are roughly divided into: vapor deposition, spraying, chemical and electrochemical techniques, roll-to-roll coating processes and other, less prominent techniques. The vast selection of extraordinary properties that graphene possesses can open the door to many interesting types of coatings, paints, inks and more. Graphene's high resistivity can make for durable coatings that do not crack and are resistant to water and oil; its excellent electrical and thermal conductivity can be used to make various conductive paints, and a strong barrier effect can contribute to extraordinary anti-oxidant, scratch-resistant and anti-UVA coatings. Graphene enables a wide array of functional coatings and paints, for many possible applications. Among these can be high performance adhesives enabled by graphene's high adhesion property, anti-bacterial coatings, solar paints (capable of absorbing solar energy and transmitting it), paints that provide isolation for houses, anti-rust coatings, anti-fog paints and UV ray blockers, non-stick coatings for various domestic applications (like frying pans and countertops) and even a much-hyped possibility (currently under scientific examination) of a coating that turns a regular wall into a screen. 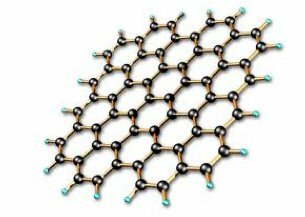 Graphene-enhanced products are yet to reach widespread commercialization. Nonetheless, given graphene’s impressive array of properties and the vigorous R&D that is taking place, graphene-enhanced coatings should not be too far away. The Sixth Element Materials, a Chinese company that focuses on R&D, mass production and sales of graphene and related materials, showcased its graphene-zinc anti-corrosion primer used for offshore wind power tower, that can come at a competitive price compared with zinc rich epoxy primer. 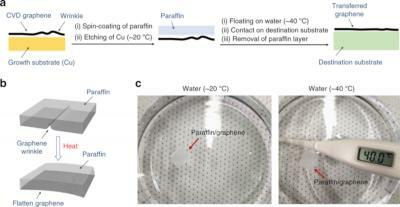 Garmor, the University of Central Florida spin-off formed to develop a new graphene oxide flakes production process, has developed graphene oxide-based coatings useful for limiting UV radiation damage to sensors and polymers. Garmor's transparent GO-films are reportedly derived from a commercially-viable and scalable process that can be readily implemented with minimal constraints. 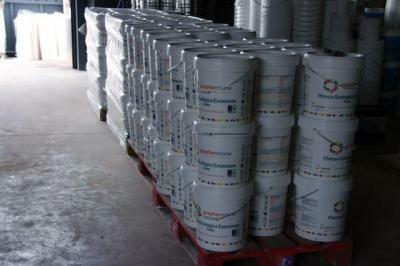 The Spain-based Graphenano announced the launch of a graphene-based series of paints and coatings called Graphenstone in 2014. These are said to be very strong and also acts as a protective layer against environmental damage. Graphenstone is made from a graphene powder and limestone powder. The British Electro Conductive Products released a sprayable transparent conductive coating based on a CNT and graphene platelets (GNP) hybrid material. TBA are targeting the food, electronics, pharmaceuticals and petrochemicals markets.The new ATEX-compliant product is available as a clear, anti-static aerosol, and it should also be available as bulk paint. Its application will safeguard electronic equipment used in explosive environments and bring it up to European standards. James Briggs has announced the successful completion of its graphene products' first production batch, which is seen as a significant milestone on the path to commercial realization. James Briggs has been working with Applied Graphene Materials on the development of graphene-based anti-corrosive coatings. Extensive testing has demonstrated repeated and outstanding improvements in anti-corrosion performance for their automotive aerosol primer. JBL plans to launch the new range of graphene enhanced anti-corrosion aerosols under their brand Hycote . The Smart Filter project used graphene and its derivatives to create a coated filter membrane that offers increased resistance to fouling for industrial waste water treatment. Membrane filters are used in a number of industrial separation applications but are afflicted by fouling, which typically lowers throughput or increases energy consumption, and reduces filter life. 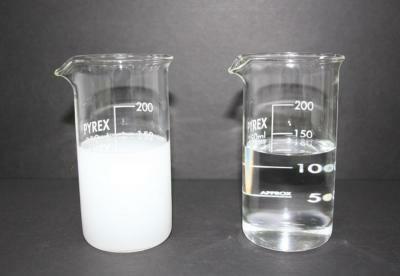 Focusing upon oil water separation and nuclear waste water treatment, the collaboration, with G2O Water Technologies, Haydale and Sellafield, developed a repeatable, reproducible and scalable process to make coated filter membranes, which delivered a 30% improvement in permeability when compared to an equivalent uncoated filter. 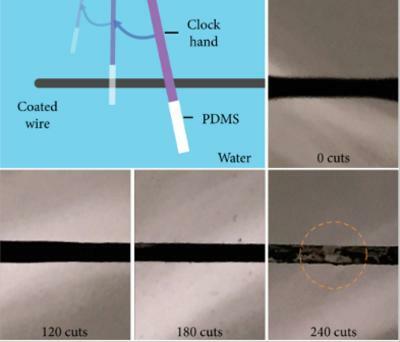 The self-healing material was achieved by modifying an oil with lightweight hollow particles in the form of tiny graphene capsules, measuring just tens of microns in size. These capsules form a network in the oil, preventing the oil film from shrinking or dripping. However, they still allow oils to flow when a scratch breaks the network, thereby healing the damaged area. 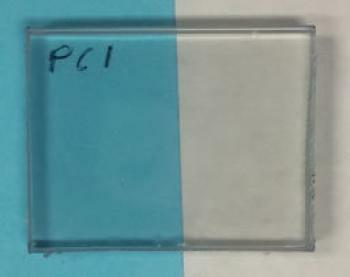 In a proof of concept demo, the researchers showed that the material is able to heal repeatedly. Even after being scratched in the exact spot for nearly 200 times in a row, it was still able to return to its former un-visibly damaged state within seconds.